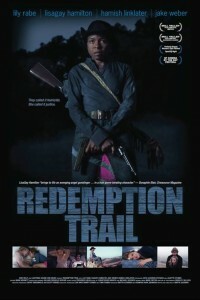 In the movie Redemption Trail, when a tragic event leads Anna (Lily Rabe), a vivacious young physician and mom, to fall off the grid, she unexpectedly finds shelter with the daughter of a Black Panther revolutionary, Tess (LisaGay Hamilton), who years earlier rejected mainstream society for entirely different reasons. An unlikely alliance forms between these two remarkable women as they battle their demons and the history – both personal and political – that haunts them. This new friendship brings healing where other close relationships fail -David, (Hamish Linklater), Anna’s husband, and John, (Jake Weber), Tess’s employer, cannot break through their walls. But when Tess and Anna are suddenly called upon to step back into the world they have fled, and to right an injustice, they take the law into their own hands, emerging as troubled, but transformed heroes. Ex-felon, Eugene Brown, establishes a Chess Club for inner city teenagers in Washington, D. C.